What isn't written, isn't remembered. Even your crimes. Nadia lives in the city of Canaan, where life is safe and structured, hemmed in by white stone walls and no memory of what came before. But every twelve years the city descends into the bloody chaos of the Forgetting, a day of no remorse, when each person's memories -- of parents, children, love, life, and self -- are lost. Unless they have been written. 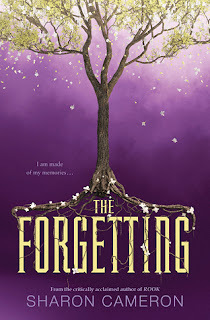 But when Nadia begins to use her memories to solve the mysteries of Canaan, she discovers truths about herself and Gray, the handsome glassblower, that will change her world forever. As the anarchy of the Forgetting approaches, Nadia and Gray must stop an unseen enemy that threatens both their city and their own existence -- before the people can forget the truth. And before Gray can forget her. This was such a unique book and idea! While it seems like it could be overwhelming with all of the details at first, it was carefully put together and gave just enough information to keep the reader engaged without being lost. At first, I was trying to see how this civilization might resemble a former Canaan of the Bible, but don't bother. I think the only reason it is referenced this way is that it is another "promised land" of a sort, though any further description means spoilering some awesome revelations at the end. Nadia is special among the residents of Canaan because she hasn't forgotten. She tries to make plans for her family so that in case they forget again, she will keep them together. 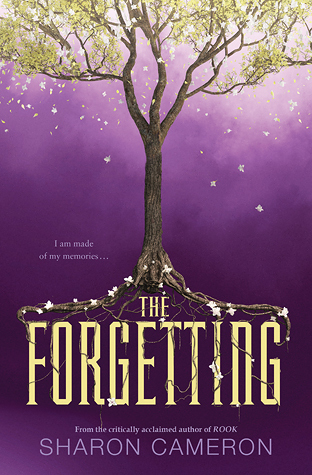 Until Gray helps, she is basically running a one-girl band to find out the truth behind the Forgetting. Additionally, Nadia is one of the few that recognizes the emotional trauma of being forgotten and lost and left behind. That's possibly a great metaphor to explore, and one that invokes a sad reminder of the effects of today's dementia and Alzheimer's diseases. It's really wrenching to picture a child or teen going through that! The character description and character development were great. They really stick with you, and so many of them do change throughout the course of the novel, including Gray and Nadia. There are a few things that are rather disturbing about the book such as the killings, physical abuse, lost or orphaned children, and torture. Some things may be traumatizing to middle school readers, especially if they couldn't take similar themes in The Hunger Games either. As a librarian, the idea of the books and the archives was intriguing and fun. I really enjoyed this aspect, especially when Nadia gains a job at the Archives. However, no way would I want my own book collection. I definitely would not want to have to write everything down, have other people potentially read what I've written and take advantage of it, nor to forget my family if my books were lost or destroyed. Again, super personally thought provoking! I enjoyed this one more than Rook but not as much as her two steampunk novels. Still can't wait to see what The Knowing holds!